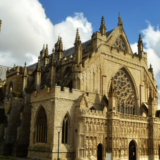 Exeter, is the cathedral city of Devon in England and home to a population of 117,773 people. Charming grey buildings, rustic castles, and natural volcanic peaks teemed with the urban brew of a dynamic, multi-cultural city; all simmering deep within the core of their heritage. Wander the green pastures and observe the scenic landscapes and beauty of nature. Cheap flights to Exeter are now available for a limited period of time, so get ready to be captivated by this lusciously beautiful city. Exeter is home to Exeter Airport (EXT), which is approximately a 25-minute scenic drive from the city center. Charming grey buildings, rustic castles, and natural volcanic peaks teem with the urban brew of a dynamic, multi-cultural city; all simmering deep within the core of their heritage. Noticeable history in majestic buildings and an archive filled with the history of literature, can be found in the city’s museum. Today, culture is engaging, empowering and enriching young minds. Exeter has a diverse food culture. The city reveals a Mediterranean style of cooking. 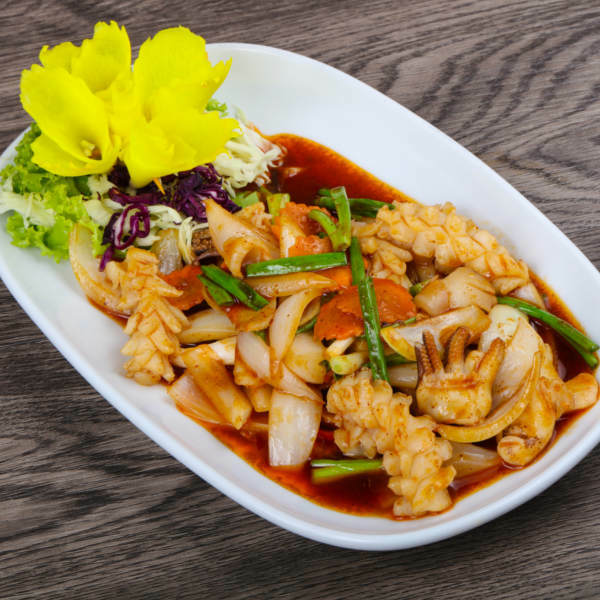 Dishes include Thai chicken, Darts Farm Italian meatballs and pumpkin gnocchi with crispy pork belly. Exeter climate has a chance of rainfall throughout the year. But don’t hold your breath - the rainfall is moderate and not heavy enough to disrupt visits or activity in the city. Summer (June – August) The weather is sunny and pleasantly clear. Cloudless days are plentiful and daytime hours seem to last longer, making day time exploring a breeze. Temperatures range from 13 – 20 degrees Celsius. The city is energetic, alive and friendly people are out-and-about. Be prepared to find huge crowds in public spaces and at popular attractions. Spring (March – May) Lovely fresh and crisp weather fills the atmosphere. Blossoming flowers and flourishing trees bud, showcasing an array of spectacular colours all across the city. Days are warm, skies are clear and temperatures range from 10 – 16 degrees Celsius. Exeter is a cathedral city in Devon, England. 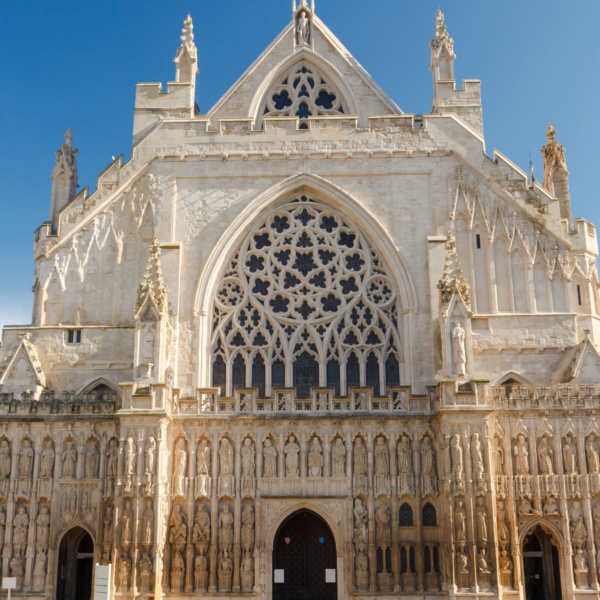 Exeter became a religious centre during the middle ages. People commute daily to the city from nearby towns because the city provides employment. Iconic landmarks, charming grey buildings, castles and volcanic peaks seal in the history of the city. Wander the green pastures and observe scenic landscapes and beauty of nature. Many churches have a Christian denomination - these consecrations reflect the very nature of older and more recent immigration. Literature and sports form an intrinsic part of the city’s culture. 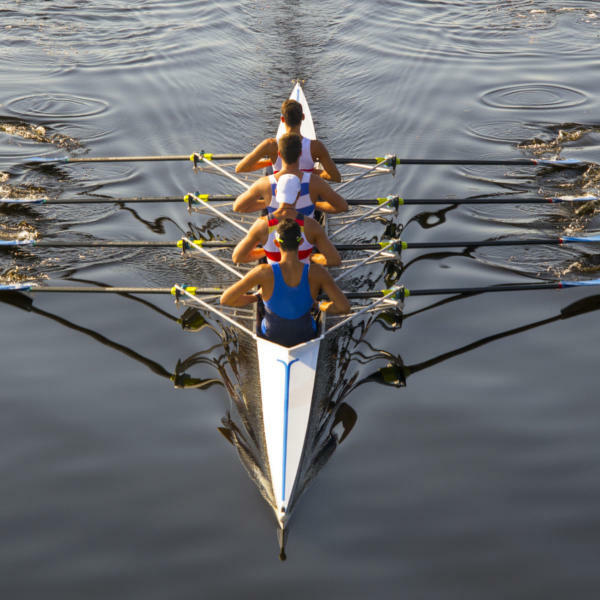 Exeter boldly celebrates rugby, football, squash, and rowing. These sports stretch back to ancient times. The heart of the people can be felt through their supportive nature and passion for sports. 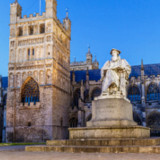 Compare multiple airlines and book cheap flights to Exeter with Travelstart! There are vaccination requirements if you are travelling from a country outside of the US. There are no real health risks within Exeter. Consider the following when you plan a trip. • Drink and eat safely. • If you are travelling with medication, ensure that the medication is clearly marked and in original containers. Along with the prescription or letter from your doctor. 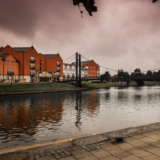 Whether you are in search of a relaxing holiday or a business trip, choose from the finest hotels in the city centre, friendly guest houses or nearby rural retreats. Top quality hotels can be found in Exeter. If you prefer to stay in a smaller and more intimate setting, there are plenty of conveniently located bed and breakfasts and guest houses to choose from. If you are on a budget, choose one of the campus accommodations, hostels or camping and caravan sites. A varied range of self-catering accommodation, ranging from city apartments to rural cottages on the city outskirts are amongst the inexpensive selection that can be found here. Bus H: These are available every 2 – 4 hours, and link the David train station with the central station. Tickets are available on-board or from the bus station terminals. Bicycles: Rent a bike at ‘Saddles and Paddles’ to make exploring the city easier. Fifty percent of hiring fees are refundable upon return if the bicycle is in good condition. Car: Car hire companies are available at stationed desks in the airport, although it is always good to plan in advance. There are plenty of car parks in the city, but these can get heavy with traffic during peak hours.